Is recruitment having its very own digital revolution? Recruitment is clearly one of the key challenges that companies face at every stage of their development. Today, many digital start-ups are developing a wide range of innovative and collaborative solutions to improve recruiters’ efficiency. But does this mean that recruitment is really having its own revolution? 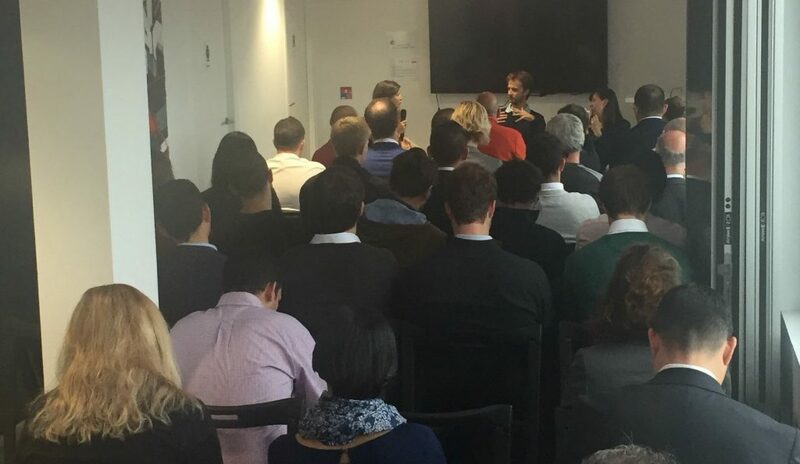 Claire Godron, Senior Associate at Partech, put the question to two speakers who have both created start-ups in recruitment, Sylvie Fleury, Founder and CEO at Hunteed and Antoine Garnier-Castellane, Country Manager at Hired. - The desire by large companies and start-ups to be more attractive to young graduates coming from the digital world. Can you tell us a little about yourselves and what brought you to HR? Sylvie Fleury(Hunteed): I previously worked in the digital, media and marketing sector and I see this non-HR background as an advantage! I was Deputy MD at Meetic Europe for 8 years where I learned a lot about marketplaces and analysing data. Moving to HR felt natural as I believe that HR is very close to the dating sector in terms of matching profiles. I knew from my past experience at Meetic that recruiting and building a team is strategic and painful, which is why I wanted to create a service to liberate the recruitment processes. This was the starting point for Hunteed, a digital recruitment platform that connects companies with a community of professional recruitment consultants. With Hunteed, you can recruit better than the job board, faster than a consultant agency and at a lower cost. The production aspect of HR is covered by the consultant, while Hunteed is in charge of the commercial dimension and guarantees payment to the consultant. Today, Hunteed is 2 years old. We started off with 800 missions with 300 different clients, 300 consultants active on the platform and 4,000 applicants. Antoine Garnier-Castellane (Hired): I was previously a consultant at Cap Gemini and in 2014 decided to create a disruptive company with some friends. We had all faced the same challenges regarding the HR industry so we decided to create Breeze, which was acquired by Hired in 2015. Hired is a technological recruitment platform for Tech Talent. On Hired, tech profiles can be viewed by tech companies for 2 weeks. I believe that the recruitment industry hasn’t changed much over the past 20 years but we expect significant changes over the next 10 years as companies can now use the full potential of internet. Based on your experience, can you give us some hints about the main obstacles faced by your customers? Antoine Garnier-Castellane (Hired): It is not the candidates, profiles, or processes that are undergoing a digital revolution. What is changing is the profiles of the people we are dealing with, not the processes themselves. Large corporations as well as start-ups need to adapt their recruitment process to these new profiles. Long recruitment processes used by banks for example need to evolve as these new candidate profiles don’t want the hassle of 7 rounds of interviews with technical tests. Technical tests are not a good practice for tech people. Sylvie Fleury(Hunteed): I fully agree. Before, the power was in the hands of the companies with many candidates for one job. Today, candidates have more expertise and there is an imbalance between supply and demand. Candidates have the choice and won’t hesitate to refuse a job. If they don’t approve of the recruitment process, because it gives them a negative view on the company and its values, they won’t take the job. Claire Godron (Partech): What are the pinpoints faced by companies? Sylvie Fleury(Hunteed): It depends on the size of the company. While small companies might struggle to correctly express their needs, larger groups might lose some candidates because their recruitment process is too long. Antoine Garnier-Castellane (Hired): Another issue is that large companies want to act like start-ups and vice-versa. But that doesn’t make any real sense. Claire Godron (Partech): What would be the quick win to put in place if you had to digitalize your HR process? Sylvie Fleury(Hunteed): I would recommend testing one HR platform to externalize your recruitment process and see how it works. For me, the approach is through the tools, even if the use of tools themselves doesn’t mean that you are digital. I am convinced that the first step to going digital is to have a marketing approach. To be more marketing-orientated, HR needs to understand the KPIs of their sector and to put data behind each one of their actions. They need to realize that the candidate is a consumer, the recruitment mission is the product and the company is the brand. Then, their vision will be different and they will become truly digital. If the candidate is a consumer, then you need to put in place an acquisition plan and a retention plan. Antoine Garnier-Castellane (Hired): I agree. It’s not because you use technology that your HR processes are digital: you need to use tools in the right way for you. I would advise using an Applicant Tracking System (ATS) which covers the whole process. It means that you keep the high value on your side, and the low value components such as sourcing or filtering are within ATS, making the process easier for you. Claire Godron (Partech): Once you have implemented these tools, is there a way to measure performance internally? - The first ratio that you need to look at is the % of CVs received / CVs you finally interview / the number of candidates recruited. It always comes down to the same number: if you receive 60 candidates / you divide by 4 and you have one recruitment at the end. - Time: this is key to measuring the reactivity of your tools. Calculating the time of treating the candidate you receive and of on-boarding him. Antoine Garnier-Castellane (Hired): Our job is just to show you some candidates, we are not HR. External tools can help you on many things but in the end, the final decision is yours. No tool can replace you as the recruiter. As Sylvie says, time to recruit and the number of candidates you want to see in the pipeline is important, but in the end, you and you alone can choose the right person for the job. Claire Godron (Partech): If you are a company who uses these tools regularly, what is the next step to bringing additional value to your corporation? Antoine Garnier-Castellane (Hired): I believe that soft tools are changing the rules. All tasks with low value added will no longer exist in 5 or 10 years. This is why we are doing this job: because we can automate many things via our engineers and data scientists. The value of HR is not in selecting candidates amongst the 100 profiles on their website. HR knows what they are looking for and why they are recruiting and this is where their value lies. Sylvie Fleury(Hunteed): I believe that everything is covered today as there are so many new start-ups opening every day. You can digitally source, interview, or even sign your contract. Today, recruitment is already digital. The issue is maybe that there are too many tools. The next vision is about connecting these tools together to make it happen on one platform: where you can promote your brand as a company, source your candidates, post your ads, receive qualified candidates, select the best one and on-board them. Claire Godron (Partech): Let’s look to the future: what can artificial intelligence bring to the HR place? Can it do a better job than HR? Antoine Garnier-Castellane (Hired): There is a misunderstanding about artificial intelligence: it’s not about algorithms. Algorithms can help you do more and better understand the context. Human beings are still essential in the recruitment process but I am not convinced that they are central, especially at the beginning of the process. The problem lies in subjectivity and bias. You don’t recruit well when you are biased and we all have unconscious bias. It has been proven that algorithms would do a much better job than humans in choosing a candidate. Sylvie Fleury(Hunteed): I disagree with some of it. Artificial intelligence is useful to select people but at the end of the day the human component remains key. Working with someone is complicated and I am not sure that artificial intelligence can solve this issue. I truly believe in human beings! Antoine Garnier-Castellane (Hired): I think that HR is not the right choice to be the front door of a company. I think that managers rather than HR should decide if a candidate is right for a job because HR only represent themselves. Sylvie Fleury(Hunteed): Well there is a real expertise in recruitment so I am convinced that HR people can add value if they do their job well and adopt a marketing approach. Claire Godron (Partech): As a conclusion, based on your respective experience, do you have any advice on the do’s and don’ts ? Antoine Garnier-Castellane (Hired): I am going to talk about tech candidates. They need to be recruited on a specific project, a vision or a product because this is what they are interested in. They don’t know what it means to work for a €10 million company. So, don’t try to attract them by talking about your company. Avoid technical tests and remember that if there is an issue, you still have the probation period to find a way out. Sylvie Fleury(Hunteed): A large company with a good brand awareness shouldn’t try to recruit via social media. They’ll receive too many applications and it will be too time-consuming. Instead, working with a recruitment agency will save them a lot of time. Small companies shouldn’t use social media either because as they aren’t well-known, they won’t attract anyone. Instead, as they are constantly evolving, they should take their time, be flexible and meet a lot people to identify their needs.